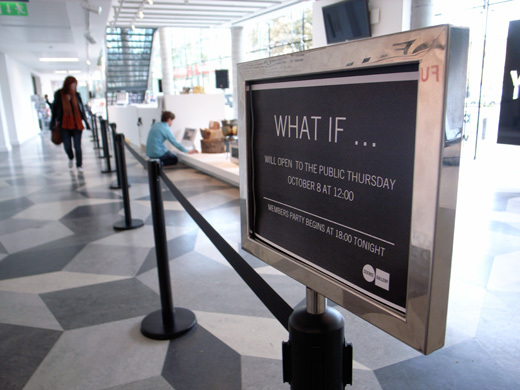 WHAT IF… has opened at the Science Gallery in Dublin and runs until 13th December. Curated by Dunne & Raby with the venue’s director Michael John Gorman, the exhibition features 29 projects from 23 designers. The exhibition has a speculative focus, taking emerging technologies and new materials as a source for hypothetical and idiosyncratic designs which aim to ask questions rather than provide answers. 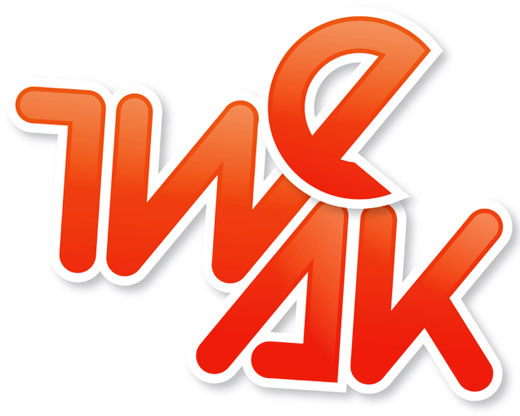 This ambition is reflected curatorially, with each project framed by a question. 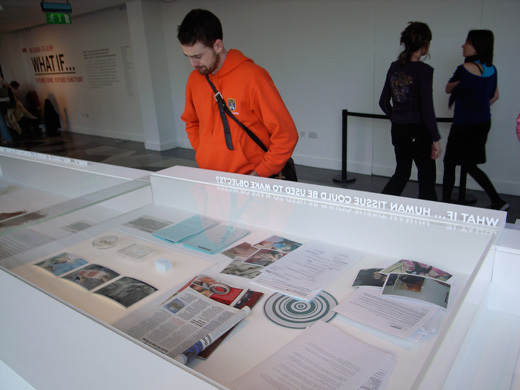 These are listed on this Science Gallery web-page, and are also present in the exhibition space, with the texts laser-cut from plastic, and running around the edges of the installations. 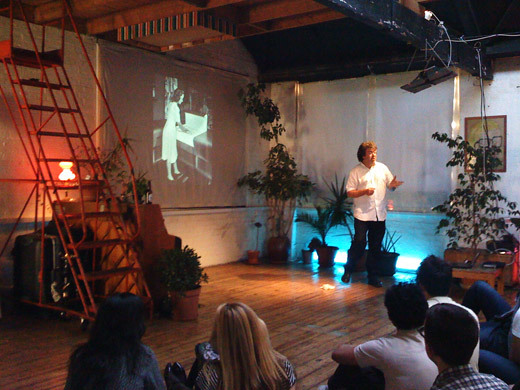 There are some projects here that originated in Material Beliefs, including Soares’ Vegitarian Tooth and Auger, Loizeau and Zivanovic’s Carnivorous Domestic Entertainment Robots. Biojewellery is there, which I collaborated on with Nikki Stott and Ian Thompson, as well as Caccavales’ Utility Pets, which are relatively old projects compared to Thomas Thwaites Toaster Project or Zoe Papadopoulou and Cathrine Kramer’s Cloud Project which both featured in the 2009 Royal College of Art graduation show. Indeed WHAT IF… could be seen as a retrospective of speculative design’s association with science, albeit a family of such work, rather than a thematic survey. For – with the exception of Mathieu Lehanneur’s Local River – all these projects are the work of staff and former students of Design Interaction department at the RCA. The Science Gallery opened in 2008, a glass segment facing outwards on to Pearse Street on the north-eastern edge of Trinity College campus. The transparency and accessibility of the gallery space perhaps relates to it’s role as an “interface between research and the city“, and I was told that as the Trinity campus expanded and grew, it bricked up the windows on its outer edges, turning its back to the life of the city. To me it seemed that the Science Gallery takes its corrective role seriously, and I’ll mention a couple of details. I was struck by Gorman’s insistence at the opening that the exhibitors should stand with their work, and chat about it with attendees, rather than drift to the bar. There was mention that the Gallery’s demonstrators, who following the hubris of the opening are on hand to discuss the exhibits, could do a better job of this than the designers who made the work. And it was one of those designers who said this. 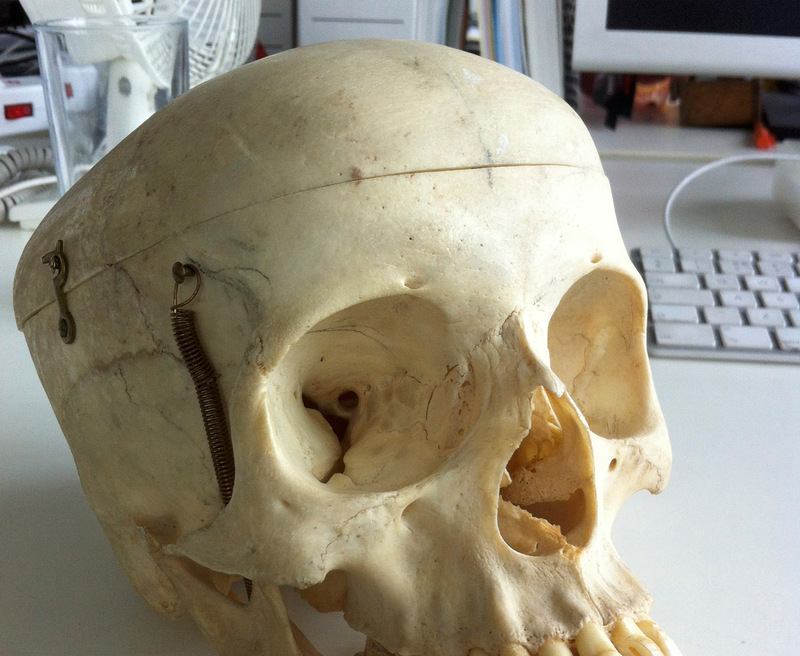 While I’m continuing to try and assemble my PhD thesis, I tend to give myself a fairly hard time about the claims I make about the way my work ‘opens up’ technology. I have also developed a healthy scepticism about the composition and ambition of the field of public engagement of science and technology, in which I consider my work to sit. I’ll continue to wrestle with my own doubts, and in the meantime it is experiences like WHAT IF…, with its enthusiastic and lovely visitors, staff and exhibitors that cut through these academic troubles. There is a call for participation that closes on July 20th. Proposals are invited from artists and designers within the categories of Exhibition, Workshops, Live Electronic Performance, Cinematic Works and Listening Post. 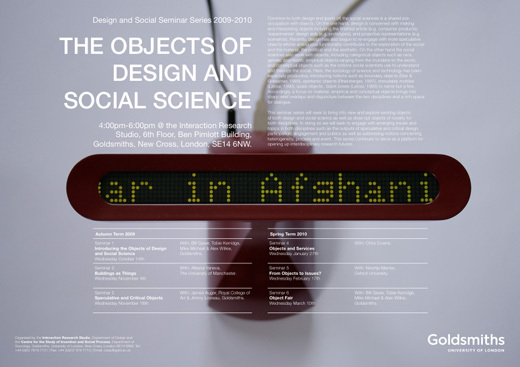 I’ll be contributing to a workshop on Wednesday 23rd, which is about “Open-Ended Technology Design”. It will be interesting to see how some of the practices from Material Beliefs will fit here. There are some direct links to the Arduino platform that Massimo Banzi is likely to bring to the table – this hardware was used in some of the Material Beliefs Prototypes. I’m also looking forward to hear more about John McCarthy’s research at UCC, and Rob van Kranenburg’s work following his Internet of Things. Guest curated by Tobie Kerridge & Elio Caccavale as a part of Colm Lally’s programme, more details and directions online at E:vent. 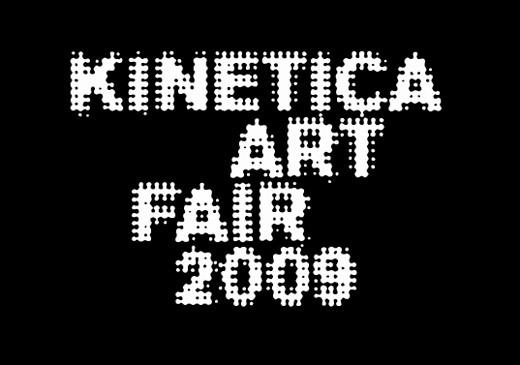 The Kinetica Art Fair will provide collectors, curators, museums and the public with a unique opportunity to view and purchase artworks from leading international galleries, artist’s collectives, curatorial groups and organisations specialising in kinetic, electronic and new media art. CDER is a group of objects produced as a collaboration between Aleksandar Zivanovic, James Auger and Jimmy Loizeau, you can also read a pdf of the CDER page from the catalogue.